Only a few of the planned shops appear to be open right now, but if the ongoing construction is any indicator, the rest are already on their way. The market, built out of the auto-repair shop where Deth Killers of Bushwick and others have had pop-ups, is rustic-chic, with corrugated sheet metal walls and faux-battered signage. The menu, on the other hand, is a little more regular-chic. Alidoro’s Italian sandwiches are on the smaller side and cost $12-$15 and the Butcher’s Daughter is hawking $10 pressed juices and smoothies as well as a selection of vegetarian breakfast and lunch dishes, like avocado toast and kale salad. 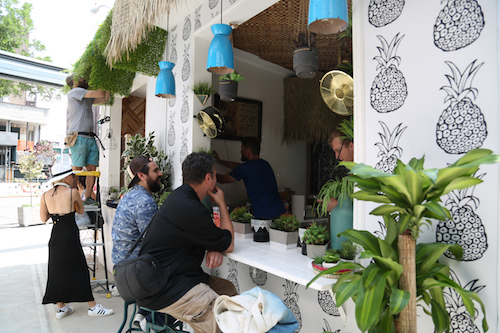 At Pulqueria, they’ll be serving up fresh tacos, Mexican ice cream and their signature “Granada de Piña” drink, which is a piña colada with chili spices and pulque, all served in a frozen, cored pineapple. The market’s coffee shop—Greenpoint-based Champion—will be serving up your standard espresso-bar fair, made with their popular, house-roasted beans, of course. In addition, Champion also has a Bowery Market-exclusive drink, the Maple Cortado, which is an espresso with milk and maple syrup. 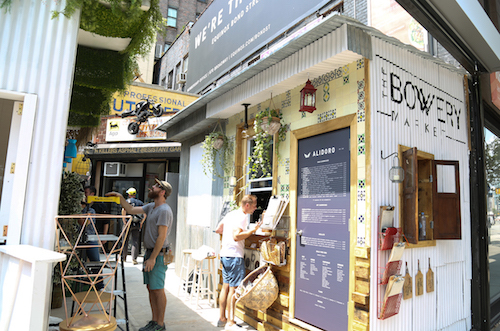 There’s also one completely new restaurant in this first iteration of the Bowery Market, Sushi on Jones, which promises to offer “top tier fast casual sushi bento,” made with fresh fish. With this wide array of options, there’s bound to be something at the new Bowery Market that will satisfy you. Also, they have water there– in this weather, you’ll need it. 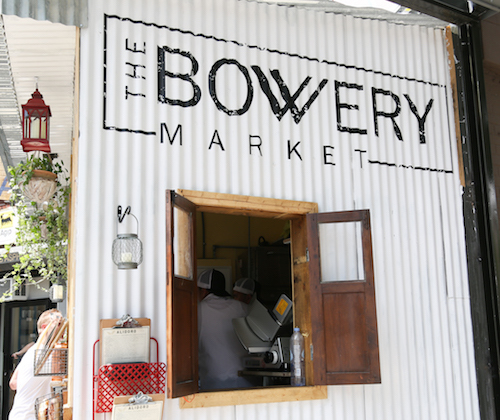 Bowery Market is located at 100 Bowery and is open seven days a week from 8 a.m. to 9 p.m.